Dave Audé is on time and on track. His programming, professionalism and beats all reflect his characteristic ease within the realm of mathematical, electronic music. With more than 13 years as a veteran producer and DJ, Dave has produced, remixed and listened to a shitload of records. Like a Ph.D.-educated archeologist uncovering ancient treasures, Audé expertly distinguishes classics from worthless sound shards. Perhaps that is why U2, Sting, Lady Gaga, Katy Perry, Ke$ha, One Republic, Puff Daddy, Rihanna, Jennifer Lopez, Selena Gomez, LeAnn Rimes, Kelly Clarkson, Britney Spears, Depeche Mode, Coldplay, Pussycat Dolls, Beyoncé, tATu, Nelly Furtado, Donna Summer, and Korn have trusted him to translate their music into dope on wax.“The real focus is on the artist and the song,” explains Dave. “I am more dedicated to producing quality music and seeing a record be successful than simply completing a contract.”In 2010 Dave was honored with is first Grammy nomination. He’s created an un-precedented 72 #1 Billboard tracks (and counting). His Audacious Records imprint is introducing a myriad of fans to deliciously insane beats that include his 2011 albums; Audacious 3 and Audacious Summer Sampler; singles such as Luciana’s I’m Sill Hot, Sisely Treasure’s That You Like and his own Holdin On that features up and coming vocalist, Elijah. He’s served as Music Director for the Pussycat Dolls Tour, crafted music for the feature film 'Nine', and added a few IMDA nominations to his list of accomplishments all within the past few years. He also hosts Audacious Radio a weekly show that airs Saturday nights on SiriusXM BPM and showcases some of the hottest releases and exclusive interviews. Add that to all his studio work and you could say the man doesn’t like to rest on his laurels.And although he didn’t come home with the hardware on Grammy night, he’s already won. “Being nominated really and truly is an honor.” States Audé. “People think it may be cliché to say that, but if you’ve never been nominated then you are, you might think a little differently.” He continues, “I got to attend the 52nd annual Grammy Awards and I got to hang out with my very talented peers, which is a life-long dream fulfilled.”As the ultimate ‘go to’ producer, Dave provides the sonic solution. He combines artist development, problem solving and, needless to say, a focused musical sense, to achieve the intended result. Once on board, Dave produces the music that completes the desired package. 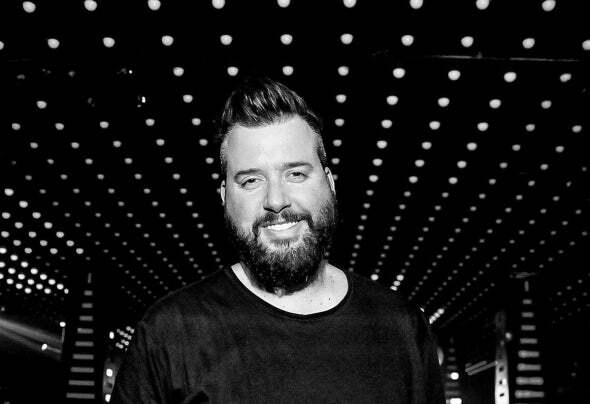 Whether it’s engineering the platinum-selling debut album from Lindsay Lohan (“Speak”) or remixing tracks to top the Billboard dance charts.... Dave’s spot on!Dave developed this trait over the years as Moonshine Music’s in-house producer. From 1992 until 2000, every single genre of electronic music released on the nation’s largest independent dance label passed through Dave’s studio. Along the way, he successfully worked with artists who had very clear ideas as well as adapting to those who are less focused. Dance artists as varied as Paul Oakenfold, Christopher Lawrence, DJ Dan, Keoki and Cirrus have all entrusted their musical visions to Dave Audé – each with distinctive styles benefiting from the unifying factor of Audé’s quality touch.Dave has earned a reputation as a master producer and remixer who can start with whatever ya throw him and delivers fantastic results. Part of delivering those distinct results, is maintaining his mainline connection to the street – whether it’s his residencies in San Diego, Los Angeles, Kansas City, Denver, and Dallas or his special appearances at clubs in every other large city in North America – he’s constantly experimenting with technology and music, absorbing fans’ responses for future output.Dave Audé is the man that professionals turn to when they want amazing music. Dave’s chameleon-like skills allow him to succeed within any genre of music – from Pop to Rock, from Hip Hop to Electronic. The thing is, his methodology doesn’t change – be it remixing, producing, DJing or writing new tunes. Dave Audé is the consummate professional who delivers the goods every single time.